Did he know that the Gingriches were up until 2 a.m. the night before dancing to an oldies band in their hotel bar? 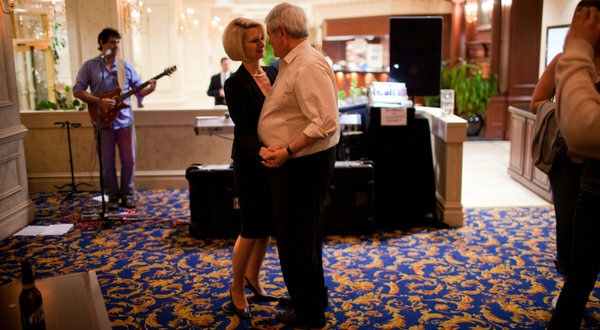 Mr. Gingrich, alternately rotating in early “American Bandstand” style and twirling his wife, Callista, unwound for an hour or so after a long day on the campaign trail. They danced to “All My Loving” by the Beatles, “California Girls” by the Beach Boys and, by special request, Elton John’s “Rocket Man,” which could be a defiant theme song for Mr. Gingrich after the flak he has caught for calling to revive the moon program. 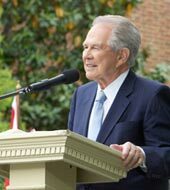 Some observers mused that with the unusually intimate display, the candidate and his staff seemed to be celebrating in a nostalgic way a possible end to their long, winding journey.